Metallic postcard printing takes your direct mail even further, by giving your postcards an unforgettable look, creating even more impressions than you would with other postcards. We print metallic postcards with the Akuafoil print process. Under this process, CMYK colors are printed directly on top of silver pigment, allowing us to make postcards with gradients, semitones, and all the hues you need with a metallic shine. This results in truly impressive postcards that recipients won’t soon forget. You can accent any part of your postcards with metallic highlights in any color or gradient through metallic postcard printing. 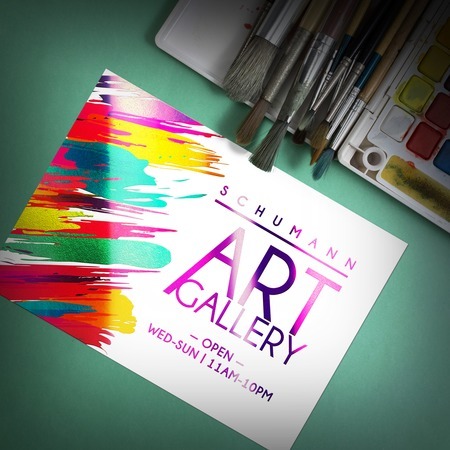 Use these shimmery highlights to wow customers and lead eyes towards your card’s call-to-action. Metallic postcards come in sizes ranging from 4" x 6" to 8.5" x 5.5", printed on a heavy cardstock, further enhancing the premium feel of these cards. Metallic postcards are popular with businesses of all sizes interested in creating unforgettable direct mail. Their metallic look also suits party invitations as well. Contact us to elevate your postcard customization. Print metallic postcards today.